A kid raises pelicans on the beach. I am not kidding. Seriously though, the film does try to talk about some serious topics. Dead family members, poachers, estranged parents and their children, corporate destruction of the environment in the name of the almighty Australian dollar. If not for the pelicans livening the mood, this would be the most depressing movie since those two cowboys couldn’t quit each other. I have no idea how the children’s book reads, but I sincerely hope that, like the film, it features the old version of pelican boy, a.k.a. Mike Kingley, complete with wildly unruly hair. 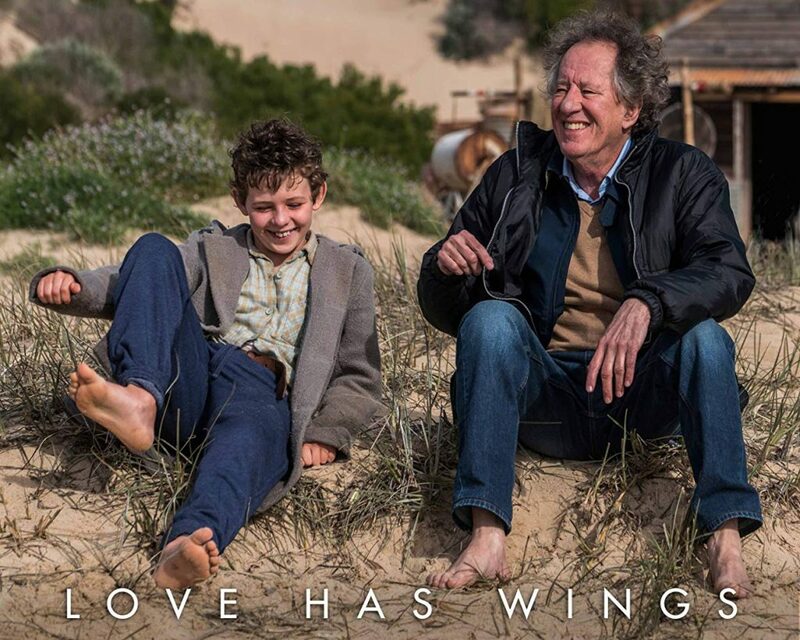 This is a great time to mention that Geoffrey Rush plays elderly Mike and his hair is Einsteinian. At this point in Mike’s life, he has built up a company that does something (no idea what) and turned control of the company over to his son-in-law, Malcolm (Erik Thomson). Mike just wants to fade away into retirement, but his granddaughter Madeline (Morgana Davies) is imploring him to stop the company from selling land that is special or something. 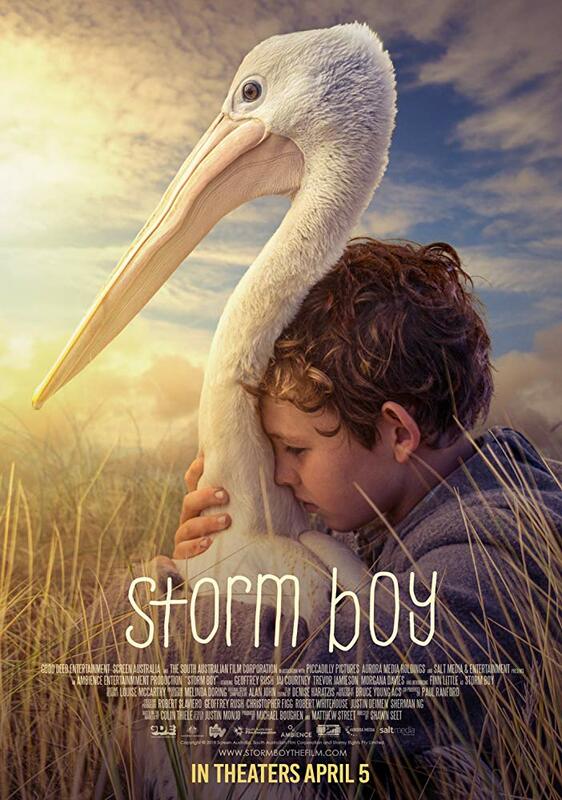 I think it had to do with Aboriginal land, but the kid story was all about a bird sanctuary and all I could focus on was that crazy hair and pelicans. Love the hair. In both cases. Anyway, Mike is also seeing flashes from his past that seem more real than ghosts and deals with it by telling the story of his childhood to Madeline. After the death of his mother and sister when he was a boy, Mike’s father, Hideaway Tom (Jai Courtney), and he lived alone in a small beachside house on a lonely island. 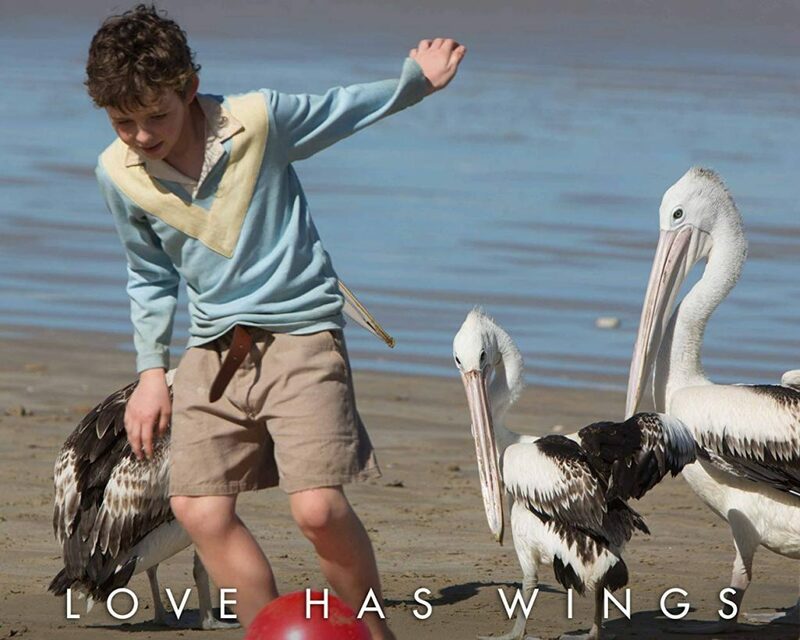 One day, while wandering around, he meets Fingerbone Bill (Trevor Jamieson) and they discover a bunch of dead pelicans and three unattended pelican chicks. Young Mike (Finn Little) determines to care for and raise the chicks back at his house. This leads to saw aw-that-is-so-cute moments, as well as eww-gross moments. Tom is not happy with the arrangement, but goes along with it due to Mike’s steadfast determination. The film continues on for a while, showing us the birds growing up and Mike playing with them and teaching them how to do things. Tom correctly points out that these very large birds (easily as big as young Mike) are going to eat them into bankruptcy, so Mike teaches the birds how to fish for themselves. Some time later, Tom points out that the birds need to be with their own kind and learn how to fly, and, begrudgingly, Mike teaches them how to fly. Don’t look at me like that – of course a human being can teach big, dumb birds how to fly. All you have to do is run down the beach and flap your arms and the birds will instantly take off into the air. It worked for Mike. And he teaches them how to play soccer. Obviously, reliving his past will make old Mike realize the error of his company’s ways and he will attempt something heroic to prevent the, uh, whatever it is they were doing. Honestly, it didn’t matter. The soul of this film is in the childhood story and the present-day stuff is just a big cliched distraction. I was even enjoying Jai Courtney acting well. Seriously. After appearing in what seems like twenty different terrible action movies and really not helping those films, someone cast him in a quiet role in his native country (Australia). He was delightful and I say that with zero sarcasm. Surprise, for sure. But, zero sarcasm. My first thought when the film concluded was it was nice and mulling it over for a couple days has not changed that opinion. With a PG rating, the dire topics are watered down, but the poaching and family issues still hit a strong emotional chord. 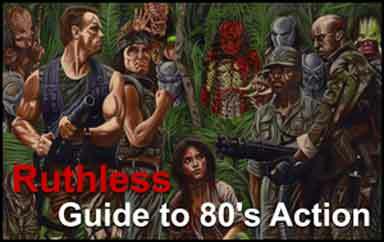 Plus, the visuals and cinematography are excellent, with the exception of one scene that highlights the limited budget of the film (but must be there as it depicts a climactic piece of the story), but we won’t hold that against them (much). For a movie that sounds absurd on paper, it earned my respect. Rating: Ask for three dollars back and try to get Phoebe’s voice out of your head.